I have never had very nice skin, except when I was a child. I occasionally still get blemishes, and my pores need refinement. I have a skincare routine that works well, but it’s always fun to try the new products we are sent. 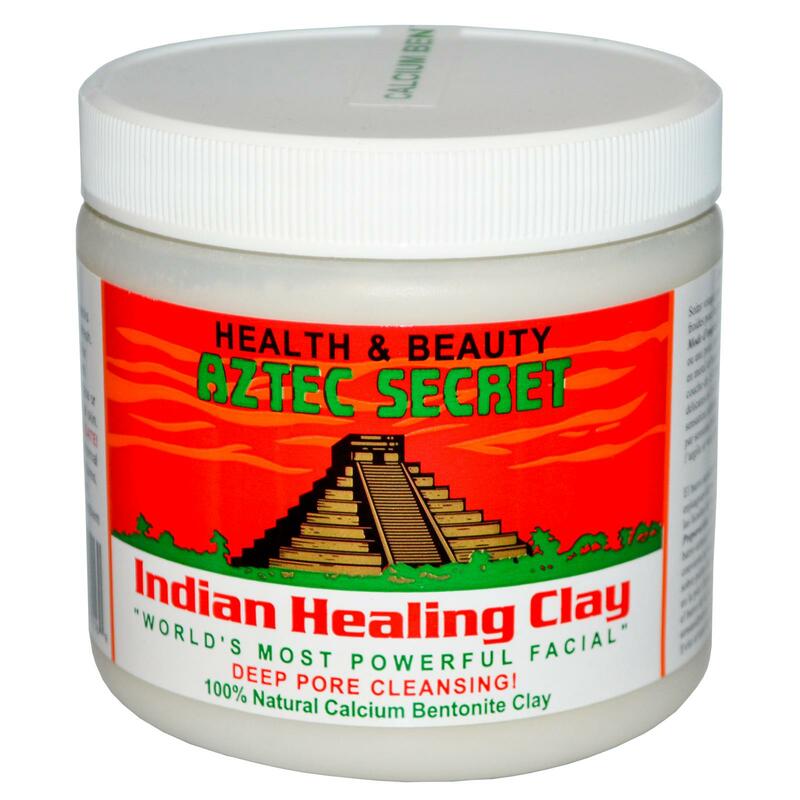 [amazon_link id=”B0014P8L9W” target=”_blank” ]Aztec Secret Indian Healing Clay Deep Pore Cleansing[/amazon_link] is made from 100% natural calcium bentonite clay that is sun-dried in Death Valley. Clays have been used for centuries to beautify and refresh when used as a facial mask. German and Roman spas have been using clay packs and treatments in the spas they built 4,000 years ago. Many of these spas still exist and use clay even today. Pliney the Elder devoted an entire chapter of his Natural History” to the many uses of clay for pimples, black heads and skin tightening. Many famous naturopaths, such as Kuhn, Just and Kneipp have contributed to the revival of the uses of clay through their natural treatments for arthritus and skin ailgments. The use of clay with apple cider vinegar can be dated back to the southern French priest of the16th century, Kneipp, and his natural treatments using clay packs and poultices. Throughout history the use of clay, specifically green clay or bentonite, is well documented. To learn more about clay, look for “Our Earth Our Cure” by Raymond Dexteit, translated by Michel Abehsera in your local health food store or book store. I have used bentonite clay masks before, but I have never mixed it before with apple cider vinegar. Unfortunately, I forgot to use a non-metal spoon to mix the clay with the apple cider vinegar, and I got a little in my eye when removing, but other than that…I really liked the experience. The apple cider vinegar reacted with the clay to create a cooling effect, and the clay definitely draws out impurities and tightens the skin. I also think the apple cider vinegar helped to alleviate the itchiness or uncomfortable feeling I get with clay masks as they draw. My skin felt super soft from the inside out after using this mask! The other great thing about this product is that it is super cheap! It only costs about $5.00 for one pound! I like the idea of using honey. The few times I have used a honey mask the results were amazing!